Enjoy Quick & Easy Chicken Cacciatore with only four ingredients! 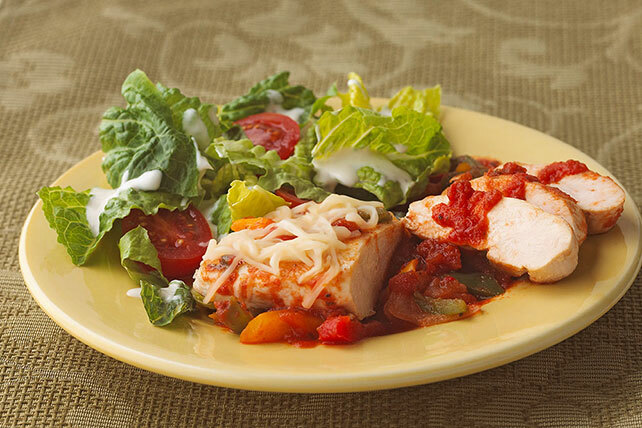 A bowl of Quick & Easy Chicken Cacciatore can be on your table in just 20 minutes. Stir in pasta sauce. Simmer 5 min. on medium heat or until chicken is done (165ºF). Serve with a salad of bagged lettuce and KRAFT Lite House Italian Dressing.